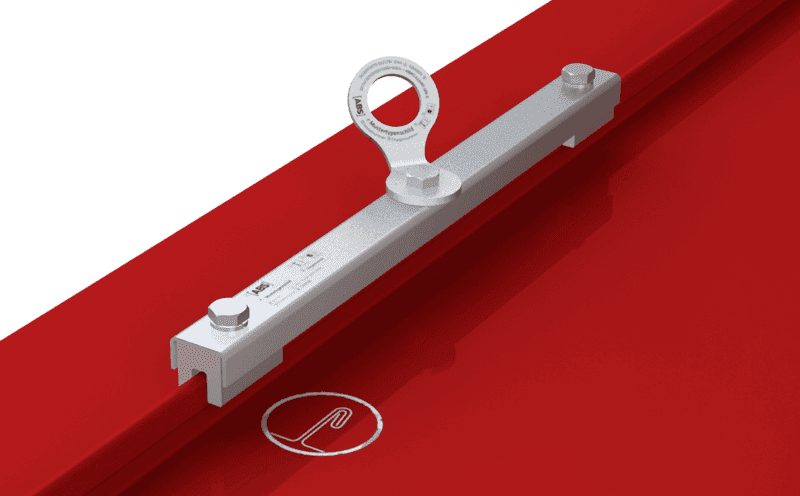 Presenting our ABS-Lock Falz V (Standing Seam) anchorage point in moving images: Watch our short product video to find out more about its most important features! Depending on the subsurface (steel, copper, aluminium or titanium zinc), this stainless steel anchorage point can be installed on a metal roof using either aluminium or brass clamps. It is simply attached to a standing or copper standing seam using the specially-designed clamps supplied - completely penetration-free. 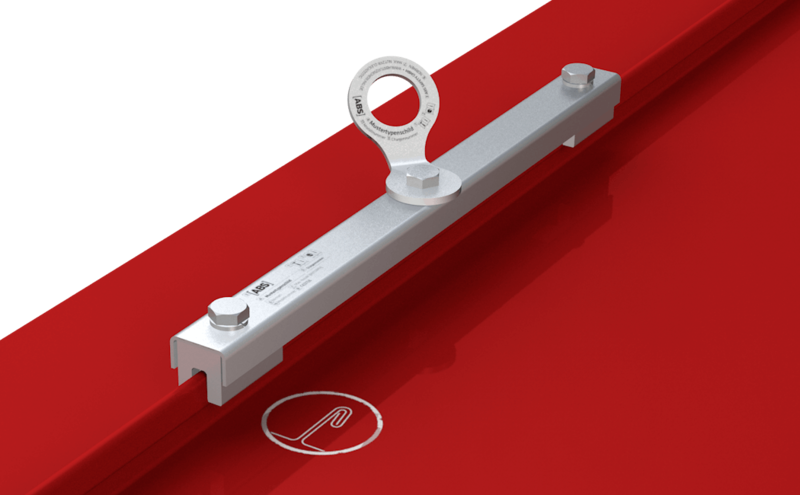 Our ABS-Lock Falz V Standing Seam offers you a single anchorage point capable of securing up to 3 individuals working on a metal seam roof. 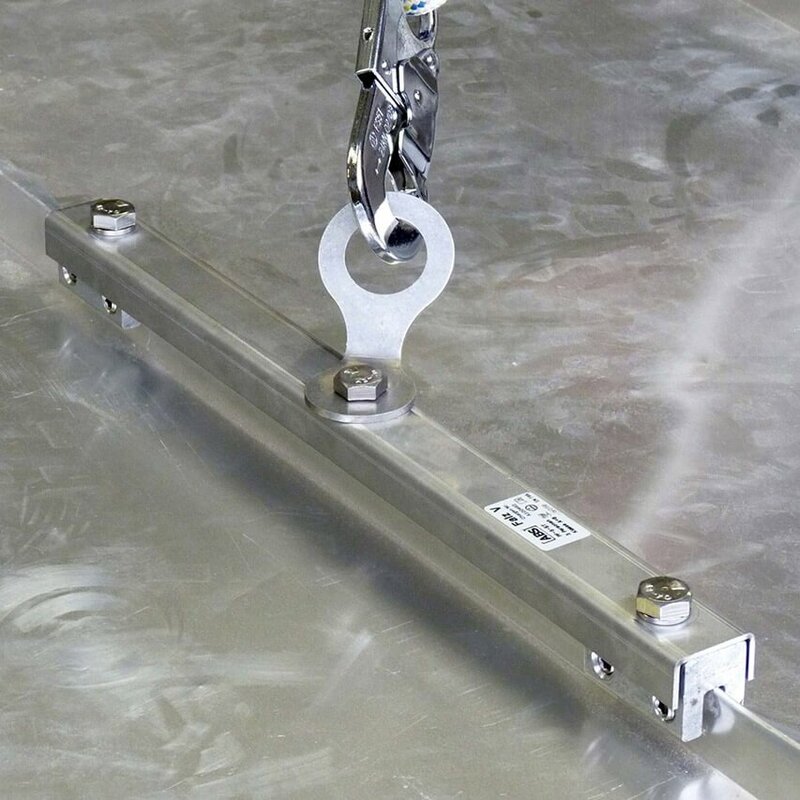 The device is simply clamped onto a single standing seam - for maximum ease of usage: The stainless steel eyelet rotates a full 360°. This anchorage device is suitable for standing seam roof solutions offered by a range of different manufacturers, e.g. Rheinzink and similar systems. Our anchor protects roof workers near a precipitous edge and in areas where there is an increased danger of falling (e.g. in the vicinity of a domed rooflight). 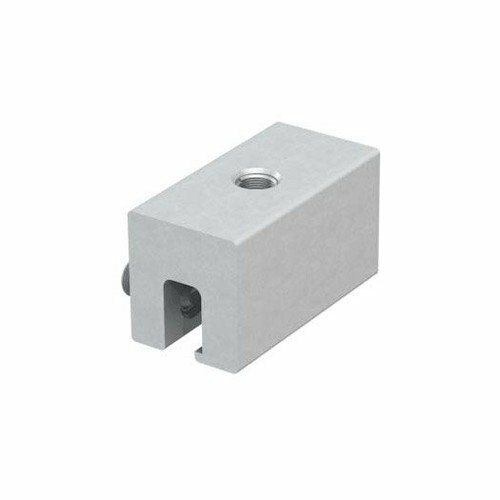 The special clamping mechanism provides reliable support and is also kind to your roof membrane: There is no need to open up your roof or drill through it. You can install our ABS-Lock Falz V Standing Seam on virtually any steel or stainless steel standing seam roof surface as long as the surface is at least 0.5 mm thick. Your copper surface will need to be at least 0.6 mm thick, titanium zinc and aluminium at least 0.7 mm.